Romanian police arrest 37-year-old man whom they suspect wrote anti-Semitic slogans on childhood home of Elie Wiesel. 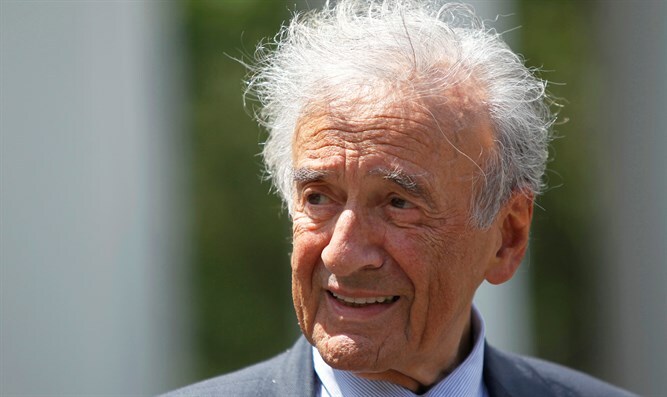 Romanian police have arrested a 37-year-old man whom they suspect wrote anti-Semitic slogans on the childhood home of Elie Wiesel, JTA reported on Friday. The suspect was arrested last week for the vandalism, which was discovered on August 4, according to the news site digi24. Wiesel, born in northern Romania in 1928, survived Auschwitz and devoted his life to keeping memories of the Nazi genocide of World War II from fading away. Wiesel was awarded the Nobel Peace Prize in 1986, and later he and his wife founded The Elie Wiesel Foundation for Humanity with a mission to "combat indifference, intolerance and injustice through international dialogue and youth-focused programs.". He passed away in 2016 at the age of 87. In September of 2016, the U.S. House of Representatives unanimously approved a resolution honoring the life and work of Wiesel. Last year, New York renamed the southwest corner of 84th Street and Central Park West "Elie Wiesel Way".